Police in Ferguson have arrested 20-year-old Jeffrey Williams in connection with the shooting of two law-enforcement officers during the early morning hours of March 12. The officers went down in front of the police headquarters during a demonstration celebrating the resignation of Chief Thomas Jackson. Mass protests, civil disobedience and rebellions have been taking place in Ferguson and other parts of the United States since Aug. 9 of last year, when 18-year-old Michael Brown was gunned down by white police officer Darren Wilson. Despite a St. Louis County grand jury investigation and a probe by the federal government, Wilson, who resigned as well from the police department, has not been charged with any criminal offense. Chief Jackson stepped down in the wake of a scathing Department of Justice report that documented systematic racial profiling and collusion targeting the majority African American population in Ferguson and other suburbs in St. Louis County. Activists have been demanding the removal of Jackson along with the mayor of the city. As the crowd was thinning out during the early hours of March 12, shots fired from a distance rang out, hitting two officers. Police immediately sought to connect the wounding of the officers to the anti-racist demonstrations. 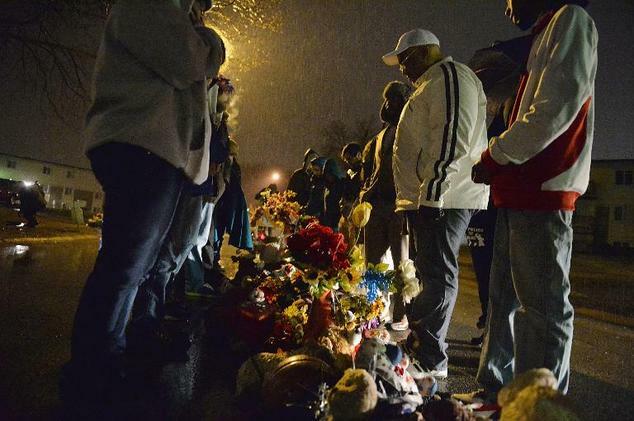 Local organizers in Ferguson have rejected the association between their work and the incident. Although police spokesmen said that the officers were lucky not to have been killed, the injuries were not life threatening and both were treated and released from the hospital several hours after the shooting. St. Louis County Prosecutor Robert McCulloch claimed that Jeffrey Williams conveyed to authorities he was firing at someone else that he had a dispute with and not at the police officers. “We’re not sure we completely buy that part of it,” McCulloch retorted, saying his office believed that there were others in a vehicle with the prime suspect. Williams was indicted on two counts of first-degree assault, one for supposedly firing a weapon from a vehicle and three other counts of armed criminal action. The St. Louis County prosecutor’s office is saying that the investigation is not complete. Residents in Ferguson say that the police conducted heavy-handed raids in search of the suspects in the shooting of the two officers. Photographs of SWAT teams breaking into homes were widely publicized throughout the media. The Guardian newspaper reported on one such case of police misconduct during an unjustified raid on a house in Ferguson. Three people were pulled out of the home and questioned but were later released. 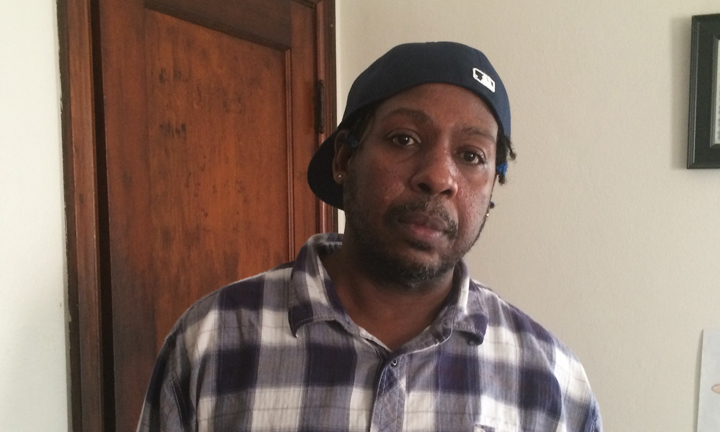 Underwood told the Guardian that he repeatedly explained to the police that they were at the demonstration on Wednesday night and early Thursday morning but did not know who shot the officers. He said that he felt disrespected by the Ferguson police who stormed his home and took all three of the residents into custody. Turner said that she and her 6-year-old son had the red laser sights of police rifles trained on their chests as they emerged into their garden under orders from the officers, who arrived in military-style vehicles. Despite the failure of the Justice Department to indict anyone in the killing of Michael Brown or for other atrocities committed by the Ferguson, St. Louis County or other regional police and national guard forces deployed in the area since August, Attorney General Eric Holder immediately condemned the shooting of the two law-enforcement personnel. Holder in a press conference said “the full range of investigative resources” at the Department of Justice and FBI would be mobilized in efforts to apprehend suspects in the shooting. Holder claims that Ferguson was on the verge of making improvements in police-community relations and that the shooting of the officers “turned his stomach.” Such words of condemnation were never made by the Obama administration in response to the killing of Michael Brown or the brutal tactics used by police and National Guard units in attempts to quell the demonstrations and rebellions. Mayor James Knowles is the target of a recall campaign, according to a Twitter message from the Organization for Black Struggle, an area activist group which has been at the center of mass demonstrations against police violence. Knowles has stated repeatedly that he has no intentions of resigning despite the departure of police officers, civil servants, a municipal judge, the police chief and the city manager in recent weeks. Ferguson is a majority African American suburb dominated by a white municipal government and police force. African Americans are discriminated against through racial profiling by the law-enforcement agents reinforced by the courts. Five residents of Ferguson submitted an affidavit demanding the removal of Knowles saying: “We cannot describe how disgusted we are with you. We now ask that you vacate the office,” the French Press Agency, AFP, reported. Also there are three seats up for election on the Ferguson City Council and some local leaders are seeking to mount campaigns to take those positions. Some believe that this is the best route to making reforms – by electing officials to local governmental positions. The Wall Street Journal reported about a meeting at an area Baptist Church where a slate of candidates and community leaders discussed running effective campaigns to win City Council seats. 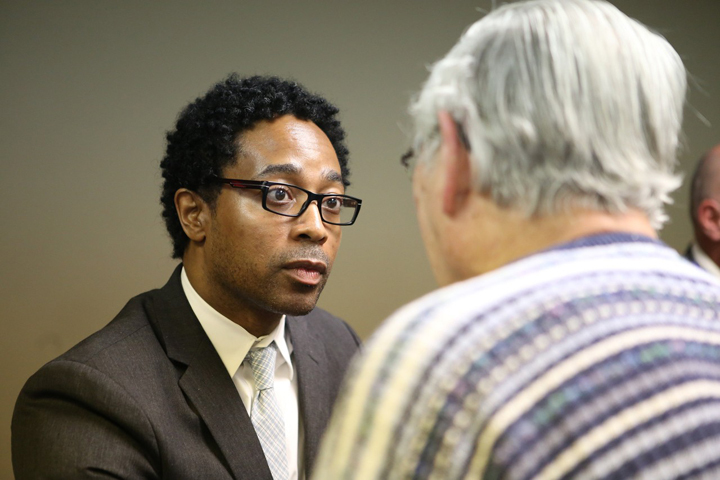 There is only one African American on the Ferguson City Council. Nonetheless, it was the mass demonstrations and rebellions that have swept St. Louis County and other cities throughout the country that have brought attention to the ongoing problem of racism and national oppression in the U.S. to people around the world. It was the mass demonstrations and rebellions that have swept St. Louis County and other cities throughout the country that have brought attention to the ongoing problem of racism and national oppression in the U.S. to people around the world. Historical lessons from other cities which have elected African American mayors, city councilpersons, county, state and congressional representatives over the last nearly five decades suggest that until the structural problems of unemployment, poverty, police violence directed at oppressed communities, corporate impunity and predatory lending is overthrown, there is little hope for fundamental change aimed at enhancing the living standards and fostering stability in the current period. Abayomi Azikiwe, editor of Pan-African News Wire, where this story first appeared, can be reached at panafnewswire@gmail.com. Pan-African News Wire, the world’s only international daily pan-African news source, is designed to foster intelligent discussion on the affairs of African people throughout the continent and the world. The shootings of 2 police officers in Brooklyn and the shootings of 2 police officers in Ferguson and the video of the racist chant that surface online by students at the University of Oklahoma illustrates that the quest for equal justice for all Americans requires a psychological component. Why? Because inequality and racism are a part of our psychological history! We have to remove the stigma of how racism affects our mental health! We have to establish group therapy sessions regarding racism nation-wide! We have no choice! God blesses the American people.